CHARCOAL, CLOTH SEAT TRIM, BRILLIANT SILVER, [L92] CARPETED FLOOR & TRUNK MATS (5-PIECE), [B92] SPLASH GUARDS, Wheels: 15 Steel w/Full Wheel Covers, Urethane Gear Shift Knob, Trunk Rear Cargo Access, Trip Computer, Transmission: Xtronic CVT, Torsion Beam Rear Suspension w/Coil Springs. This Nissan Versa Sedan has a powerful Regular Unleaded I-4 1.6 L/98 engine powering this Variable transmission. *This Nissan Versa Sedan S Plus Has Everything You Want *Tires: P185/65R15 AS -inc: Low rolling, Strut Front Suspension w/Coil Springs, Steel Spare Wheel, Single Stainless Steel Exhaust, Side Impact Beams, Seats w/Cloth Back Material, Remote Releases -Inc: Mechanical Cargo Access and Mechanical Fuel, Rear Cupholder, Rear Child Safety Locks, Radio: AM/FM/CD -inc: auxiliary-input and 2 front speakers, 2 rear speakers (4 total) and Bluetooth hands-free phone system w/audio and Bluetooth switches on the steering wheel, Radio w/Seek-Scan, MP3 Player, Clock, Speed Compensated Volume Control and Radio Data System, Passenger Visor Vanity Mirror w/Driver And Passenger Auxiliary Mirror, Outboard Front Lap And Shoulder Safety Belts -inc: Rear Center 3 Point, Height Adjusters and Pretensioners, Manual Tilt Steering Column, Manual Rear Windows, Manual Air Conditioning, Manual 1st Row Windows, Low Tire Pressure Warning, Lip Spoiler, Light Tinted Glass. * Stop By Today *Come in for a quick visit at Moss Used Super Store, 1545 SE Evangeline Thruway, Lafayette, LA 70508 to claim your Nissan Versa Sedan! SUPER BLACK, CHARCOAL, PREMIUM CLOTH SEAT TRIM, [Z66] ACTIVATION DISCLAIMER, [N95] SILL PLATE PROTECTOR, [L92] CARPETED FLOOR MATS W/TRUNK MAT, [H92] REAR USB PORTS, [B92] BODY COLORED SPLASH GUARDS (4 PIECE), Window Grid Antenna, Wheels: 16 x 6.5 Steel w/Wheel Covers, Variable Intermittent Wipers. This Nissan Sentra has a dependable Regular Unleaded I-4 1.8 L/110 engine powering this Variable transmission. *These Packages Will Make Your Nissan Sentra SV The Envy of Your Friends *Valet Function, Urethane Gear Shift Knob, Trunk Rear Cargo Access, Trip Computer, Transmission: Xtronic CVT, Transmission w/Driver Selectable Mode, Torsion Beam Rear Suspension w/Coil Springs, Tires: P205/55HR16 AS, Strut Front Suspension w/Coil Springs, Steel Spare Wheel, Sliding Front Center Armrest and Rear Center Armrest, Single Stainless Steel Exhaust, Side Impact Beams, Seats w/Cloth Back Material, Remote Releases -Inc: Power Cargo Access and Mechanical Fuel, Remote Keyless Entry w/Integrated Key Transmitter, Illuminated Entry, Illuminated Ignition Switch and Panic Button, Rear Cupholder, Rear Child Safety Locks, Radio: AM/FM/CD Audio System -inc: 5 color display, 6 speakers, USB connection port for iPod interface and other compatible devices, auxiliary audio input jack, SiriusXM Satellite Radio w/3-month trial subscription, streaming audio via Bluetooth wireless technology, MP3/WMA CD playback capability, Radio Data System (RDS), speed-sensitive volume control, illuminated steering wheel-mounted audio controls and Siri Eyes-Free, Radio w/Seek-Scan and Clock. * Visit Us Today *Come in for a quick visit at Moss Used Super Store, 1545 SE Evangeline Thruway, Lafayette, LA 70508 to claim your Nissan Sentra! CHARCOAL, CLOTH SEAT TRIM, BRILLIANT SILVER, [X01] POWER DRIVER SEAT PACKAGE -inc: 6-Way Power Driver's Seat, [N10] REMOTE ENGINE START, [L92] FLOOR MATS PLUS TRUNK MAT (5-PIECE CARPETED), [B10] SPLASH GUARDS, Window Grid Diversity Antenna, Wheels: 16 x 7.0 Steel w/Full Covers, Valet Function, Urethane Gear Shift Knob. This Nissan Altima has a powerful Regular Unleaded I-4 2.5 L/152 engine powering this Variable transmission. *These Packages Will Make Your Nissan Altima 2.5 S The Envy of Your Friends *Trip Computer, Transmission: Xtronic CVT (Continuously Variable), Transmission w/Driver Selectable Mode, Tires: P215/60TR16 AS, Tire Specific Low Tire Pressure Warning, Systems Monitor, Strut Front Suspension w/Coil Springs, Steel Spare Wheel, Speed Sensitive Variable Intermittent Wipers, Side Impact Beams, Seats w/Cloth Back Material, Remote Releases -Inc: Power Cargo Access and Mechanical Fuel, Remote Keyless Entry w/Integrated Key Transmitter, 2 Door Curb/Courtesy, Illuminated Entry, Illuminated Ignition Switch and Panic Button, Rear Cupholder, Rear Child Safety Locks, Radio: AM/FM/CD/MP3 Audio System -inc: 5 color display, Siri Eyes Free voice recognition, illuminated USB connection port for iPod interface and other compatible devices, hands-free text messaging assistant, Radio Data System (RDS), aux-in, 4 speakers and streaming audio via Bluetooth wireless technology, Radio w/Seek-Scan, Clock, Speed Compensated Volume Control and Steering Wheel Controls, Quasi-Dual Stainless Steel Exhaust w/Chrome Tailpipe Finisher, Proximity Key For Doors And Push Button Start, Power Rear Windows. * Visit Us Today *Test drive this must-see, must-drive, must-own beauty today at Moss Used Super Store, 1545 SE Evangeline Thruway, Lafayette, LA 70508. STORM BLUE, BEIGE, CLOTH SEAT TRIM, [Z66] ACTIVATION DISCLAIMER, [L92] FLOOR MATS PLUS TRUNK MAT (5-PIECE CARPETED), Window Grid Diversity Antenna, Wheels: 17 x 7.5 Machined Aluminum Alloy, Valet Function, Trunk Rear Cargo Access, Trip Computer, Transmission: Xtronic CVT (Continuously Variable). This Nissan Altima has a dependable Regular Unleaded I-4 2.5 L/152 engine powering this Variable transmission. *This Nissan Altima 2.5 SV Has Everything You Want *Transmission w/Driver Selectable Mode, Tires: P215/55VR17 AS, Tire Specific Low Tire Pressure Warning, Systems Monitor, Strut Front Suspension w/Coil Springs, Steel Spare Wheel, Speed Sensitive Variable Intermittent Wipers, Side Impact Beams, Seats w/Cloth Back Material, Remote Releases -Inc: Power Cargo Access and Mechanical Fuel, Remote Keyless Entry w/Integrated Key Transmitter, 2 Door Curb/Courtesy, Illuminated Entry, Illuminated Ignition Switch and Panic Button, Rear Cupholder, Rear Collision Warning, Rear Child Safety Locks, Radio: AM/FM/CD/MP3 Audio System w/SiriusXM -inc: 5 color display, Siri Eyes Free voice recognition, illuminated USB connection port for iPod interface and other compatible devices, hands-free text messaging assistant, Radio Data System (RDS), aux-in, 4 speakers and streaming audio via Bluetooth wireless technology, Radio w/Seek-Scan, Clock, Speed Compensated Volume Control and Steering Wheel Controls, Quasi-Dual Stainless Steel Exhaust w/Chrome Tailpipe Finisher, Proximity Key For Doors And Push Button Start, Power Rear Windows, Power Door Locks w/Autolock Feature. 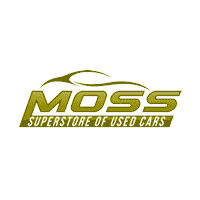 * Visit Us Today *Test drive this must-see, must-drive, must-own beauty today at Moss Used Super Store, 1545 SE Evangeline Thruway, Lafayette, LA 70508. RED ALERT, CHARCOAL, PREMIUM SPORT CLOTH SEAT TRIM, CHARCOAL, LEATHER-APPOINTED SEAT TRIM, [L92] CARPETED FLOOR MATS W/TRUNK MAT, [H11] REAR USB PORTS (H11), Window Grid Antenna, Wheels: 17 Aluminum-Alloy w/Unique Design, Wheels w/Machined Accents, Variable Intermittent Wipers, Valet Function. This Nissan Sentra has a strong Regular Unleaded I-4 1.8 L/110 engine powering this Variable transmission. *These Packages Will Make Your Nissan Sentra SR The Envy of Your Friends *Trunk Rear Cargo Access, Trip Computer, Transmission: Xtronic CVT, Transmission w/Driver Selectable Mode, Torsion Beam Rear Suspension w/Coil Springs, Tires: P205/50R17 All-Season, Strut Front Suspension w/Coil Springs, Steel Spare Wheel, Sliding Front Center Armrest and Rear Center Armrest, Single Stainless Steel Exhaust w/Chrome Tailpipe Finisher, Side Impact Beams, Seats w/Cloth Back Material, Rocker Panel Extensions, Remote Releases -Inc: Power Cargo Access and Mechanical Fuel, Remote Keyless Entry w/Integrated Key Transmitter, Illuminated Entry, Illuminated Ignition Switch and Panic Button, Rear Cupholder, Rear Child Safety Locks, Radio: AM/FM/Aux-In Audio System -inc: 7 color touchscreen, streaming audio via Bluetooth, Bluetooth hands-free phone system, hands-free text messaging assistant, Siri eyes-free, USB connection port for iPod interface and other compatible devices, NissanConnect featuring Apple CarPlay and Android Auto, 2 illuminated rear USB ports (VPC) and SiriusXM satellite radio, Radio w/Seek-Scan, Clock, Speed Compensated Volume Control and Radio Data System, Proximity Key For Doors And Push Button Start. * Visit Us Today *A short visit to Moss Used Super Store located at 1545 SE Evangeline Thruway, Lafayette, LA 70508 can get you a reliable Sentra today! GUN METALLIC, CHARCOAL, CLOTH SEAT TRIM, [Z66] ACTIVATION DISCLAIMER, [L92] FLOOR MATS PLUS TRUNK MAT (5-PIECE CARPETED), Window Grid Antenna, Wheels: 17 x 7.5 Machined Aluminum Alloy, Vinyl Door Trim Insert, Variable Intermittent Wipers, Valet Function, Trunk Rear Cargo Access. This Nissan Altima has a dependable Regular Unleaded I-4 2.5 L/152 engine powering this Variable transmission. * Experience a Fully-Loaded Nissan Altima 2.5 SV *Trip Computer, Transmission: Xtronic CVT (Continuously Variable), Transmission w/Driver Selectable Mode, Tires: P215/55VR17 AS, Tire Specific Low Tire Pressure Warning, Systems Monitor, Strut Front Suspension w/Coil Springs, Steel Spare Wheel, Side Impact Beams, Seats w/Cloth Back Material, Remote Releases -Inc: Power Cargo Access and Mechanical Fuel, Remote Keyless Entry w/Integrated Key Transmitter, Illuminated Entry, Illuminated Ignition Switch and Panic Button, RearView Monitor Back-Up Camera, Rear Cupholder, Rear Child Safety Locks, Radio: AM/FM/CD/MP3 Audio System w/SiriusXM -inc: Radio Data System (RDS), aux-in, 6 speakers and streaming audio via Bluetooth wireless technology, Radio w/Seek-Scan, Clock, Speed Compensated Volume Control, Steering Wheel Controls, Voice Activation and External Memory Control, Quasi-Dual Stainless Steel Exhaust w/Chrome Tailpipe Finisher, Proximity Key For Doors And Push Button Start, Power Rear Windows. * Stop By Today *For a must-own Nissan Altima come see us at Moss Used Super Store, 1545 SE Evangeline Thruway, Lafayette, LA 70508. Just minutes away!